Good price for this. Add £1.50 for delivery if you want it delivered. Face off against unlimited and increasingly difficult waves of enemies in the ultimate survival challenge. Tactical zombie dismemberment to remove body parts to disarm or slow your targets. One of my favourite games. I've had it for the best part of 2 years still not completed it. 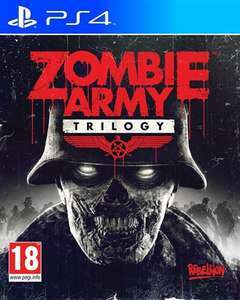 Sure it's repetitive but it's my go to game when I just want to switch my brain off and shoot some zombies with a sniper rifle! Is it just me or is that website a shambles? The amount of times I've tried to sign up for Shopto and it's failed on me every single time is ridiculous.